Imprint Method: Silk-Screen - Give this mini brochure tote bag to customers so when they use it, they let everyone know where to get the best products! 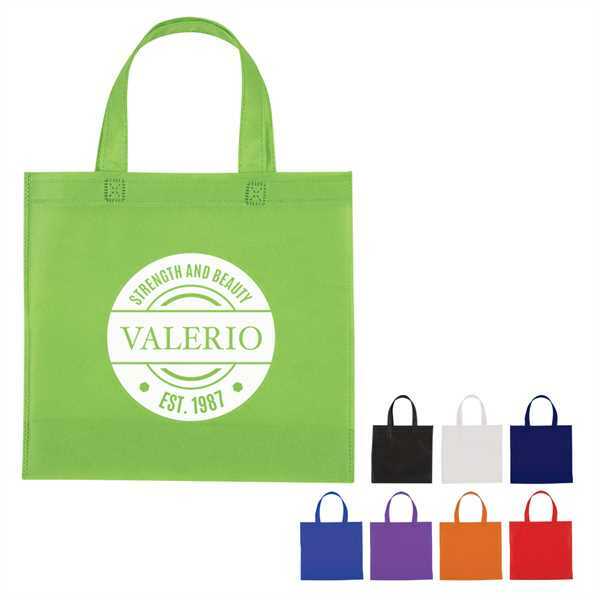 It's made of 80 gram non-woven, coated water-resistant polypropylene and features 12 1/2" handles that allow this to be carried comfortably. Clients will love using this for all of their daily essentials. Spot clean/air dry recommended for care. Add a silkscreened logo for maximum visibility and increase your business! Size: 10 5/8 " x 11 "